It seems to be universal for people to mark occasions, events and important life epochs in terms of numbers – whether it’s a 12th birthday party or your child is counting down the days until Christmas. It is 40 days until I’m here! Yes, that’s right! 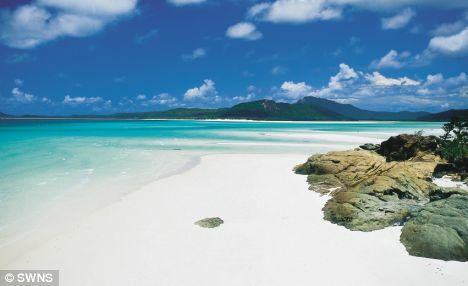 40 days until we are relaxing on a beach in Hamilton Island!!!!! I don’t think I’ve ever looked forward to a holiday more in my entire life. The number of kilos I would like to lose! I don’t know why losing 5 kilos is harder than losing 15, but there you go. It just is. The number of times I have been sick this winter! I am so sick of being sick. I am drinking honey tea, popping vitamins and antibiotics and Codral tablets, sucking on throat lozenges and steaming my head with Vix vapour rub. I’m battling this thing head on. What are you counting down for or celebrating this week?